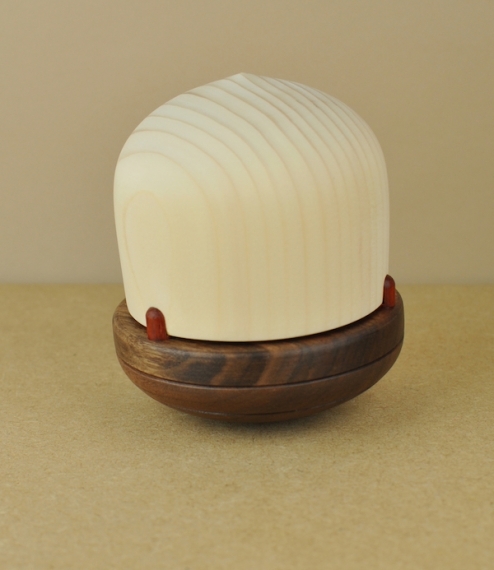 A battery night light made with a walnut base and Hokkaido fir shade, cut thin enough that the light shines gently through the grain. From the hand of Inoue Hiroyuki in Asahikawa City, the shade is turned inside first, then a light placed with the cavity whilst the outside is cut away in semi-darkness until it glows through the thinning timber. 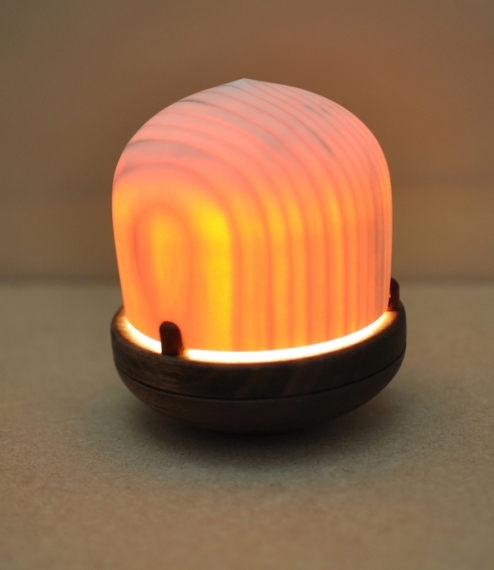 Once a street racer, Hiroyuki learnt electronics modifying cars, knowledge put to good effect creating the movement triggered, timed controls for this lamp.